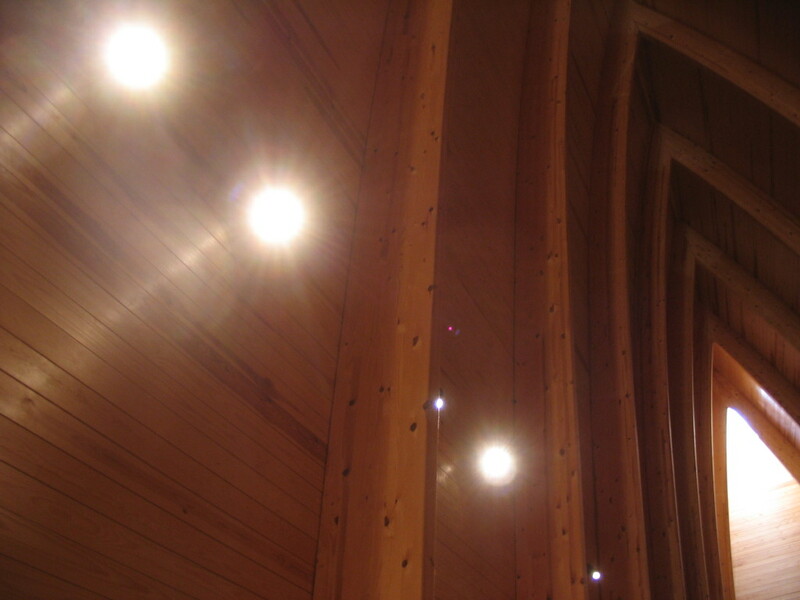 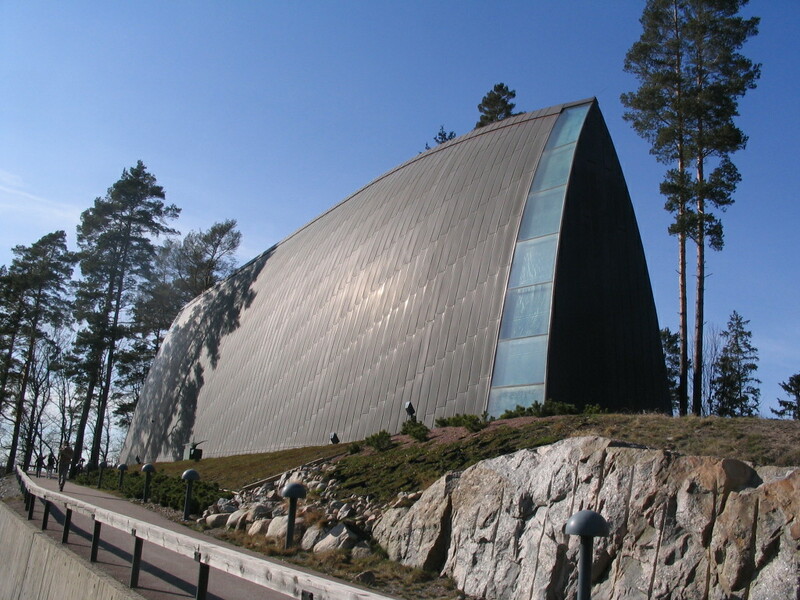 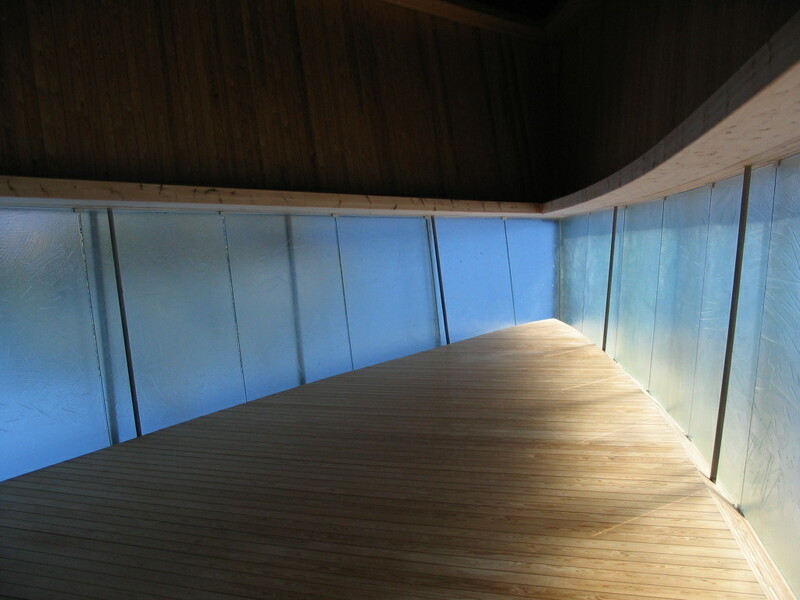 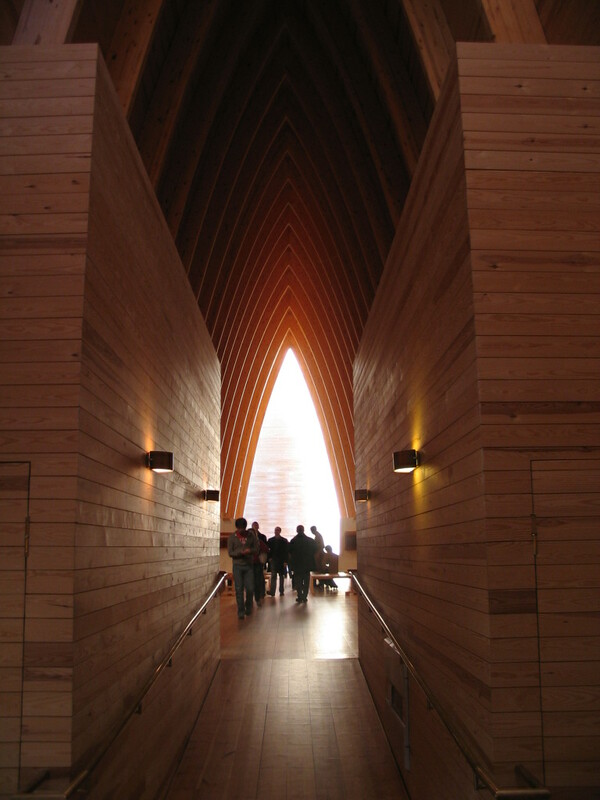 The next stop was St. Henry's Ecumenical Art Chapel, designed by Sanaksenaho Architects and completed in 2005. 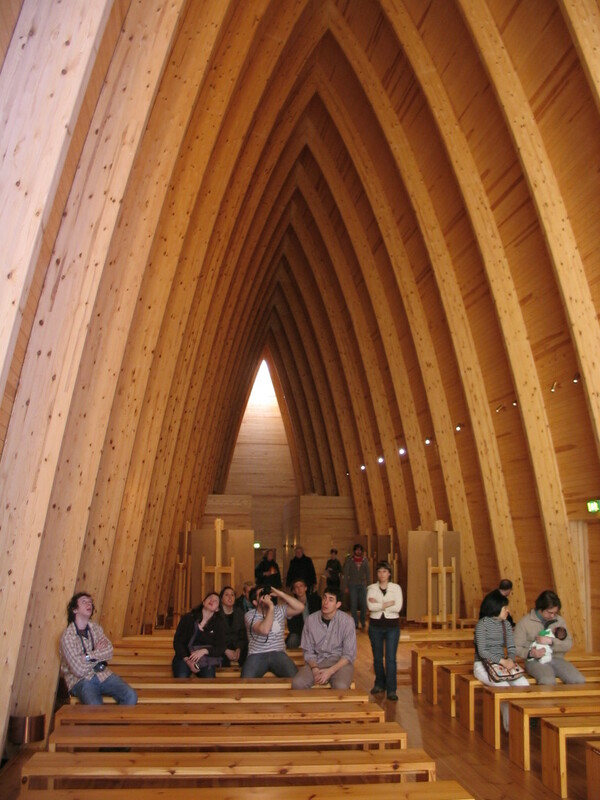 It contains a small art exhibit area in the rear part of the nave. 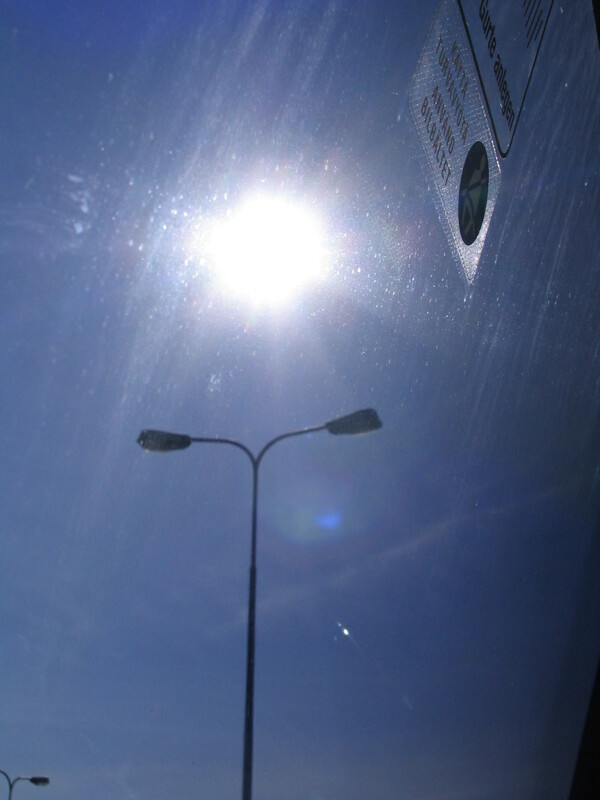 Momentary glo-fi sun totem thru the bus window. 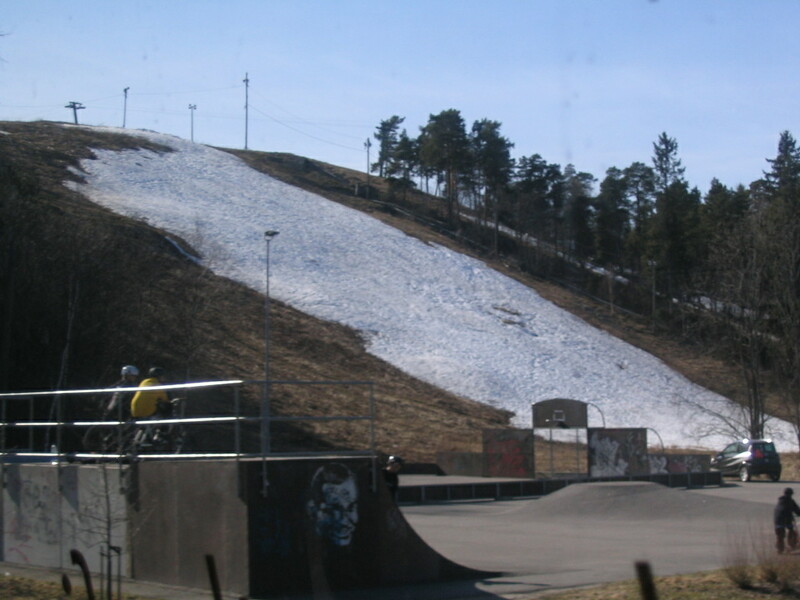 A last bit of ski snow. 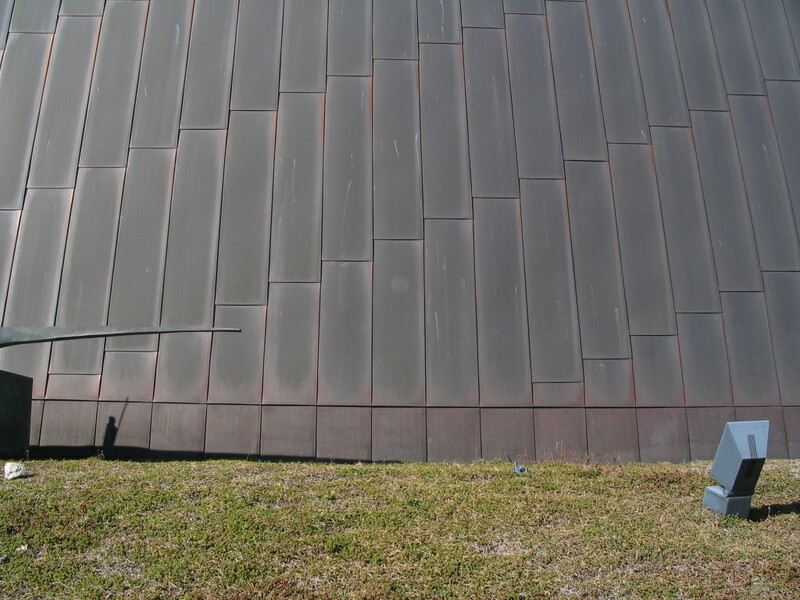 The sides of the chapel are sheathed in copper. 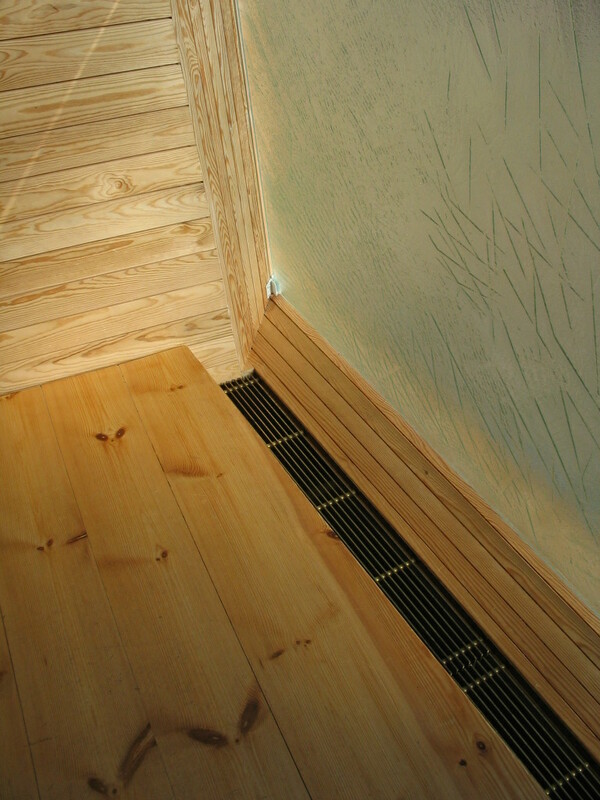 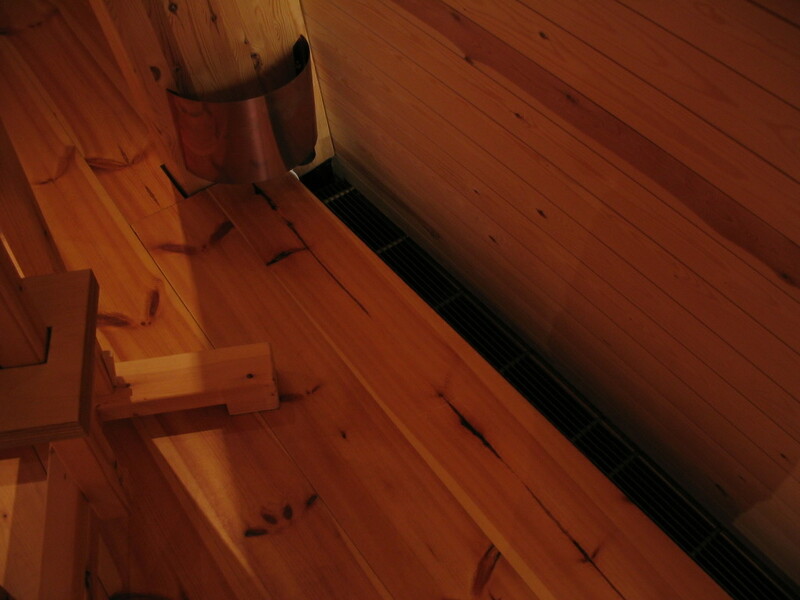 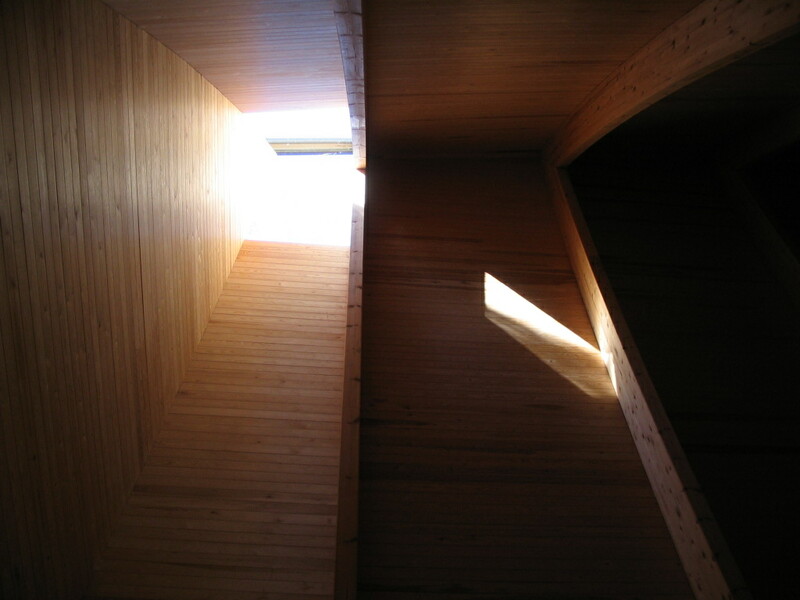 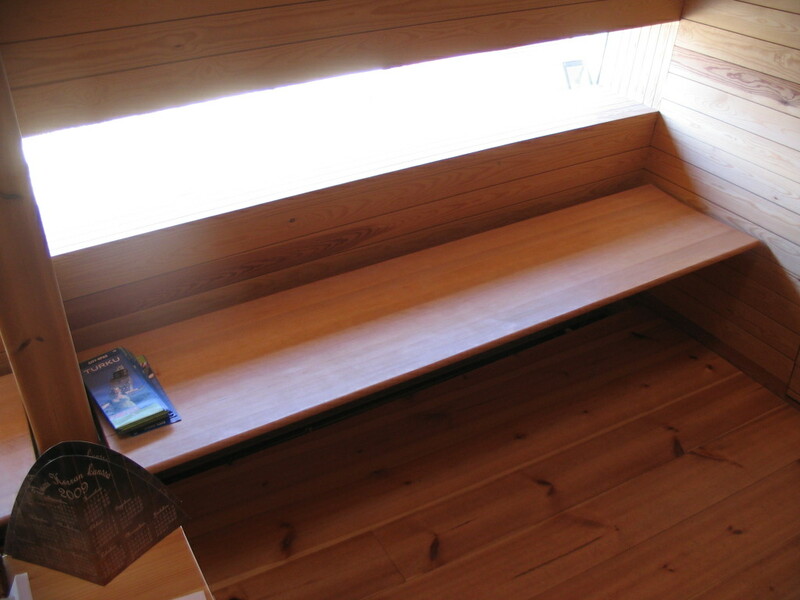 The inside, meanwhile, is all warm wood, with nice integrated details like this window/seat. 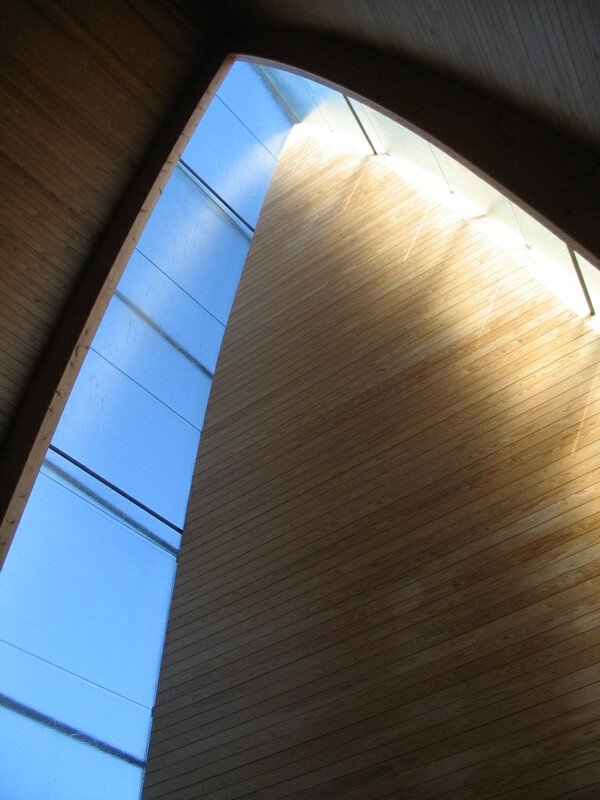 Blue sky at the apse. 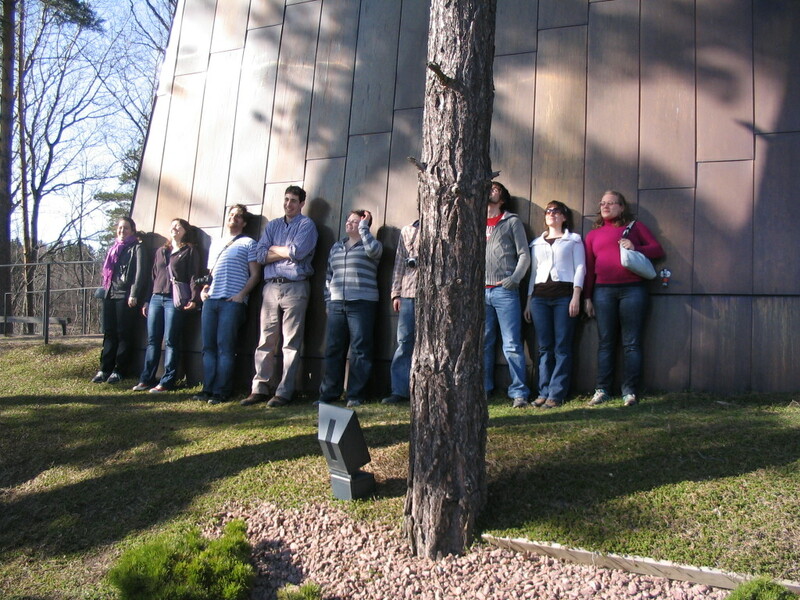 We were grateful for the first real sunny warmth of the semester. 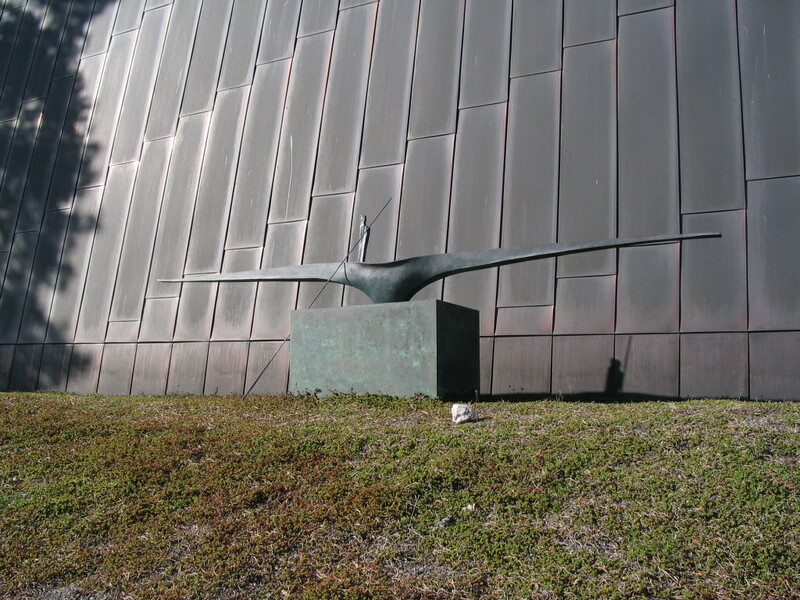 A quite Nordically elegant sculpture, with a nice bit of tectonics/stereotomics. 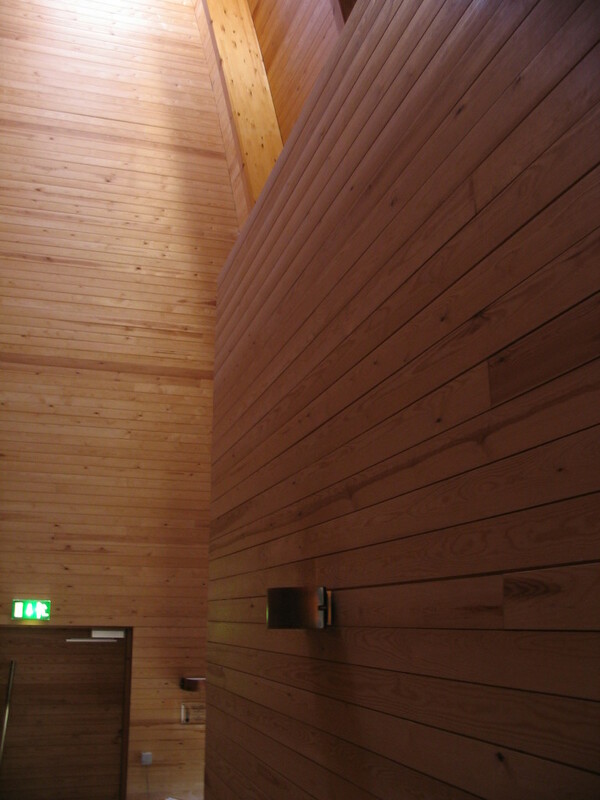 And finally, a view of the entire chapel.